Now that finals are over, it’s officially (finally? haha) time to get in the holiday spirit and that includes baking. Baking cookies to be exact. Every year, I bake a ridiculous amount of cookies to give to family and friends. 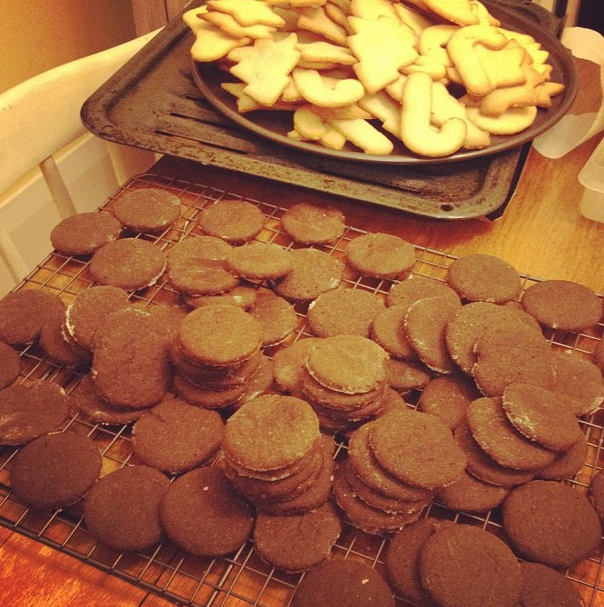 My kitchen practically turns into a cookie factory – every inch of every surface is covered in cookies. I think I get my fill of baking for the entire year during the few days leading up to the delivery of my cookies. Every year I like to change it up and add a new cookie to the mix, last year it included classic sugar cookies, chocolate ginger molasses cookies, gingerbread, and chocolate peppermint cookies. This year I haven’t quite decided what the new cookie will be, but I’m working on a couple of new recipes for the season. What cookies would you include in the mix this year? Any flavour combinations you’re particularly into right now? From last year: a bunch of cookies waiting to be decorated. From Instagram. Chocolate Peppermint Cookies these were a new addition to the cookies last year – really delicious and easy to decorate! Chocolate Snow Caps are always a popular choice at this time of year. Chocolate Ginger Molasses Cookies might be my favourite holiday cookie. You might even say they’re my signature cookie – whatever the holiday party, I always have a batch of these in hand. Ginger Molasses Cookies are a classic, comforting cookie. Chocolate Orange Snow Caps with this cookie I wanted to combine two typical festive flavours – it took a while to perfect, but if you’re a fan of this combination, give these a try. I think I’m sensing a bit of a chocolate theme here – can you tell I’m obsessed? 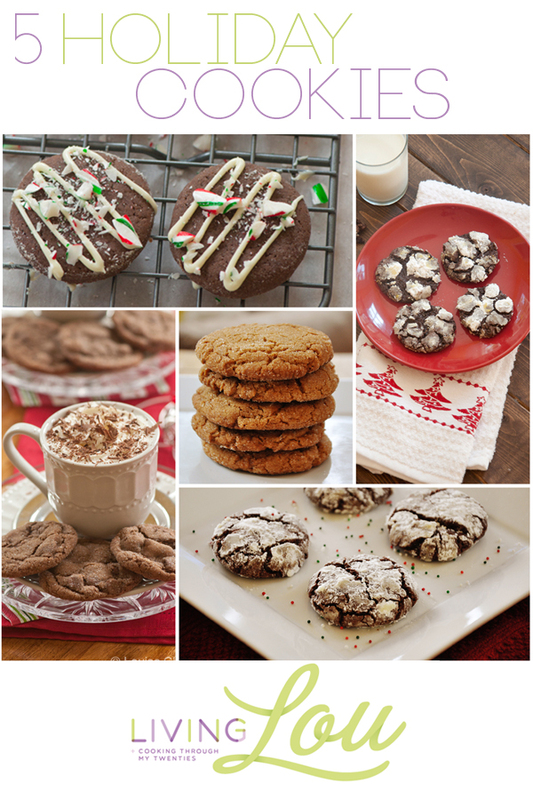 How do you feel about holiday baking? Do you enjoy it as much as I do? Oh yeah Lou! Obsessed is a better word to describe it! I currently have 5 different kinds of cookies in my freezer waiting for my friends and family! Thanks Robyn! I'm so behind on my cookies this year, I don't have anything in my freezer right now!